Lemax Nativity Table Accent (Set of 14) depicts the delightful stable scene where the Christmas Nativity took place with Mary, Three Wise Men and a Shepherd watching over Baby Jesus lying in his manger. Lemax Nativity set is suitably placed in and amongst a seasonal Lemax village miniature Christmas scene. A popular Lemax Village collectable table piece which joined the Lemax collection in 2003. 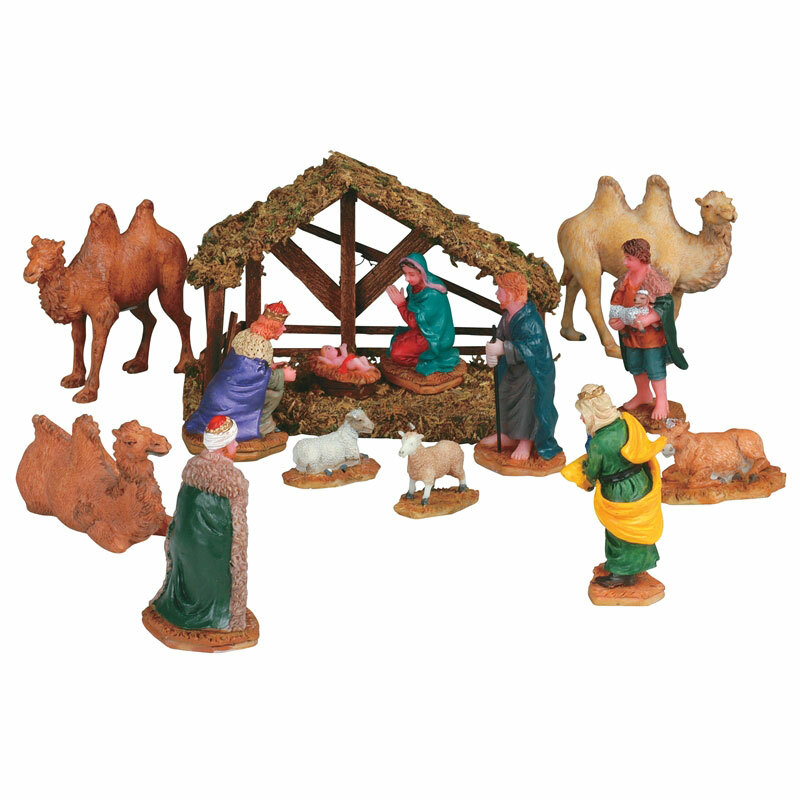 Nativity offers a delightful 14-piece, self standing, hand painted polyresin figurine set on individual bases to compliment your seasonal Lemax Christmas Village.